Rental property is one of the best investments that anyone can make. If you do it right, you can make a lot of money and set yourself to have some nice reserves for when something goes wrong. However, even though it’s pretty common knowledge that buying a rental property is a good idea, there are few places that you can find the necessary steps to buying that property. 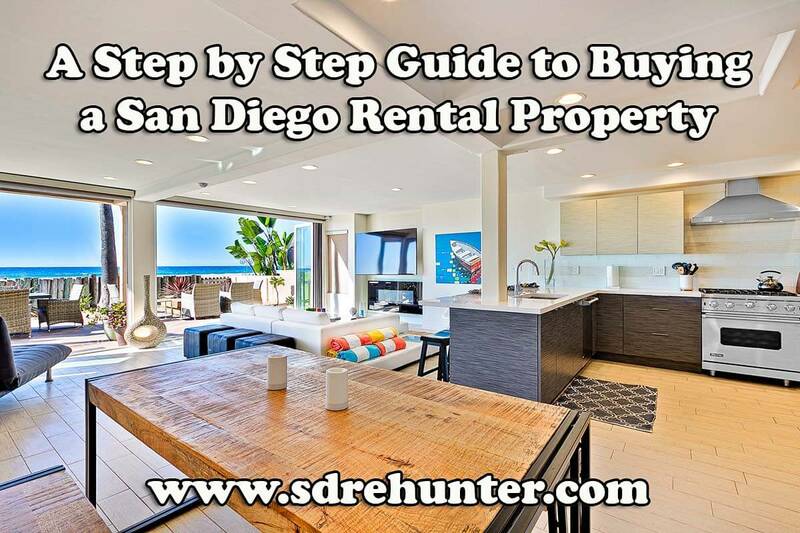 The steps that I will give you are specifically about buying property in San Diego, but besides some number changes and location changes, these tips can help anyone that’s interested in buying rental property. Regardless of what kind of investment you’re making, you have to sit down and do some research before you start thinking about how much money you’re going to make from the investment. I recommend looking into things like the neighborhoods that you could buy properties, how much rent actually is, and how much money you think you’re going to make when you’re renting out the property. Some factors in this can be seen in my San Diego neighborhood guides where my team and I detail out things like it's history, nightlife, things to do, top restaurants, schools, and so much more. You’ll want to start thinking ahead to how the rental property will affect your budget. It won’t always be easy to know how much it will affect you, but you should really keep an eye out on your own budget. You won’t want to hurt yourself financially when you’re trying to make your future better. A great source for that is our San Diego rental search where you will find out how much it costs to rent out per night, week, month, every several months, or longer. Of course, if you aren’t sure about some things like San Diego mortgage rates and how those rates can affect your purchase, then check out my blog about San Diego mortgages. 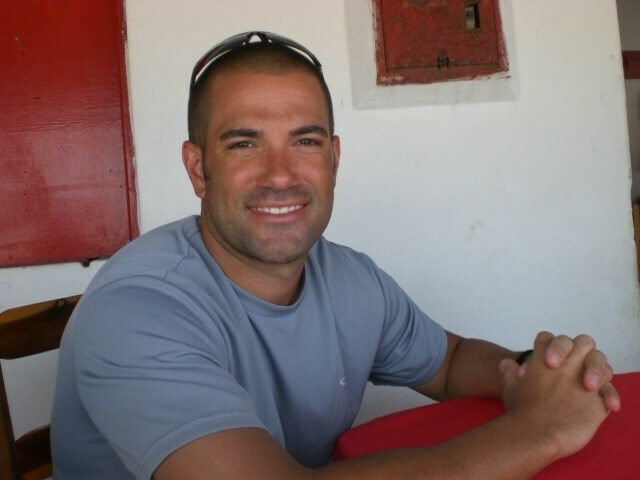 Being licensed to handle both real estate AND mortgages - I have a pulse on all the latest mortgage products available - whether you have a lot or little to put down. If you’re considering making an investment in a rental property and need a mortgage to help you get there, then I can help make that entirely possible. After you’ve compiled all of the information that is necessary for you to make a good decision, then you’ll want to start looking at how you want to go about making your dream a reality. You should write down your plan and your goals even if you’re just putting the rough ideas down on paper. You’ll want to keep yourself focused, and researchers have found that writing down your goals really helps you achieve them. While you might have big goals and dreams, you’ll want to keep your plan guided and focused in reality. Don’t start trying to buy a house that is out of your price range just because it has the garden that you wanted it to have. Part of keeping a plan grounded in reality is seeing what kind of activity is happening in the neighborhoods that you’re interested in. In the San Diego market reports section of my website, you can see just what kind of properties are on the market or being sold in the area of San Diego that you’re looking at. Keep focused on the bigger issues like the budget that you’re working with. By setting down those goals and maximums, you’ll be better able to focus on the things that matter. Another great feature to keep in mind is our San Diego market updates where we post graphs on over 130 different areas of San Diego detailing things like: medium sales price, medium price per square feet, number of active listings, number of sold listings, and much more. Of course, to help you get to your dream property, you’ll need to work with financing. I already mentioned the fact that I can handle mortgage loans and such things, so this could be a source of great joy and news for you. I have blog posts about deciding which kinds of San Diego mortgage loans could even be the right fit for you - and detailed San Diego case studies laying out exact numbers. You’ll want to start getting finances ready before you start looking at properties because it might help you to get that money set down beforehand. You don’t want to scramble at the last minute to get your money together to purchase a property that is perfect and right in front of you. All sorts of issues can pop up for people, including issues with loans and their credit scores. For someone that maybe hasn’t purchased property before on their own, understanding just what documents they need to get a loan or what kind of limits are present for loans can always be tricky. Make sure to do your research before moving forward. There have been instances, whether they’ve been looking for rental property or just general real estate, where people have had their dream property snatched away from them because they weren’t prepared with finances yet. Getting those finances together could really make the difference when it comes time to make that purchase. Now that all the goals are set and your finances are ready to make the purchase, you’ll have to start focusing on the search for a property. This is often the most fun part for anyone that’s shopping for real estate. There are many sites that you can use to look for general properties often with a virtual tour option. This makes the search even easier. You don’t have to even get dressed up to go out and see the property immediately. These websites offer some great insights and can really help you consider what kind of properties are available in the area. For San Diego, my website should be your one stop shopping center for properties of all kinds. The listings on the website cover a vast range of types of properties and it’s easy to figure out where all the houses are. My website is really an ideal way to find the places in San Diego that will earn you a lot of money in the long run. You’ll be able to get alerts when prices change and tour parts of the properties from the comfort of your own home. Should you decide to move away from buying in San Diego where my expertise are, there are plenty of other resources out there for making sure that your property buying experience is a good one. After finding a rental property and after walking through the property, you’ll need to start taking the steps to make an offer on the property. The real estate agent that you’re working with will help fill out paperwork in order to send in your offer to the selling agent. The selling agent acts on the behalf of the seller, so they’ll take the offer to the seller. At this point, you might begin negotiating. Negotiating can be a tricky and lengthy process. However, before we talk about negotiating your offer, we need to talk about when to stop. You shouldn’t spend more than you want to or can. You might fall in love with a property, but you shouldn’t let that get in the way of your logic. Stop negotiating when the numbers get too high. Negotiating can – and should – take a lot of work. If a negotiation doesn’t take long, then you might feel like you aren’t getting the best deal possible. Going back and forth, countering offers, and getting some feedback going on the kinds of things that you’re working on is a great part of the process. You’ll need a few tricks to really get the most out of your negotiation. The best thing you can do is use all the information you can. If you ask the seller about why they’re getting rid of the property, then you might be able to use that information to your advantage. For example, a seller might get two competing offers from two buyers. One buyer will offer the full price, but they’re going to take some time to close and they have inspection and financing contingencies that will take some time to resolve. The other seller offers less money, but a quicker turnaround. This other seller has also spoken to the seller and knows that they’re moving to deal with a family situation and that they need to be out of there as soon as possible. That information will help the second seller get the property because they’re doing something invaluable to the seller. During negotiations, listen to your seller and learn as much as you can. That information will become incredibly important later on. But as useful as listening is, you need to know when to open your mouth. Use that information, but also use your own words and your own power in the negotiations to get what you want. Using your words at the right time can help set the boundaries for how the negotiations will work. If the seller is arguing with you over little things, then every time they ask for something do the same. Eventually, the seller will stop trying to mess with your deal and might accept it even if there are a few things that they don’t personally like. When you’re making the negotiations, remember that there are some items you’ll need to include in your offer. Your real estate agent will be able to help you with all of these details, especially if you’re a little overwhelmed by the process. Hopefully, at the end, you’ll find that the seller and you agree to all the terms. Then you will have the signed agreement and you will be able to keep moving forward to getting that rental property to make your life even better. If you want a more in depth look at negotiating, then I would suggest checking out my San Diego's 10 "Must Know" Real Estate Negotiation Tips post on the subject. You will have dates in the agreement for this process. An inspector (that you hire) will look at the condition of the property. They will be looking for problems with the property that could cost money later on. If the inspector finds something, then you may go back to the bank and renegotiate. The problem with going back and renegotiating is that the seller may walk away from the deal that they have with you. When it comes to the inspection, if your seller walks away from the deal because of giant issues that will cost you tons of money later on, then maybe you should consider yourself lucky. You don’t want to get stuck with a property that isn’t up to snuff. If everything goes smoothly during the due diligence, then you will be finalizing financial arrangements with whoever you’re borrowing money from if you need. Once you have reached the end, you will be signing documents and get the keys to your new rental property. If you have gotten through all of the steps before, then you will find that you are a landlord now. You’ll have to learn how to property rent out the property if it is a vacant house. It can be a hard process, but it could be worth it for those that can stomach it. When it comes to renting out the property, it will take a little bit of work. It might be more work than you anticipated, but in the end, this process can be extremely beneficial. While the payments that your tenant will make will cover the mortgage and maybe a little bit more, you have to first get those tenants. While I cover the basics of screening a tenant here, you’ll want to look into more detail how you’re supposed to screen your tenants with my Ultimate Guide to Screening Your San Diego Tenants. You’ll start with advertising about it. Then once you have interest, you will start pre-screening and show the house to those that are interested. The pre-screening process is a phone call that simply figures out if the tenant is going to be able to actually live there. Each owner gets to define their criteria, but you should probably check to make sure that the tenant makes around 3 times as much money as the rent would be per month. If they make less than this, then it could be tricky to rent to them and collect your payment. You should also make sure that they only have so many people in the house. There are state laws about this, but usually, you’ll want to aim for two people per bedroom. A good reference and some proof of income will also go a long way in this process. After pre-screening possible tenants, then you’ll show the house. Letting them walk through will help them figure out if they will actually want the place. If they still want the house, then you’ll have applications. When you’re giving out the forms, there are standards of information that you need to have on those sheets. Along with all this gathered information, you’ll need to have them sign a release of information statement. When you create an application, you will probably want to collect a fee that will cover the amount to do a background check (and maybe a little more). Be careful of any state regulations when it comes to this kind of stuff. After this, then you will start going through their information. If you see anything that immediately disqualifies them, then inform the potential tenant and move on. You can return any fees that you have charged or not, but also make sure that you inform the potential tenant of what disqualified them. Every step of the way, you are checking to see if they can really sustain themselves or if they have felonies. Any fees you charge and any standards that you hold them up to will likely be up to not only you but the market of the area. There are places that have higher application fees and others that have lower application fees. If you don’t care too much about the credit score, then the number doesn’t have to be the most impressive to still qualify for your rental property. This process will be very focused on where the property is and what you are particularly looking for. Once you have someone that you want to sign on, then you will need to fill out lease agreements and get everything settled out. This process might be terrifying to those that aren’t used to having to be in charge of so many moving parts, but there are plenty of online resources for figuring out the local issues. You likely looked at some of these when you were starting your research and setting down your goals. How much you charge for rent and such will be dictated by the local market and you will probably be flexible as you continue on into the future. The first property that you rent out might hit some bumps in the road, but as long as you try to define every step of the way and make sure that any tenants have access to the information of why you’re doing what you’re doing, then you should be able to make some good money renting out that property. If you’re hoping to become a great landlord, then you should look into my post with some more tips on making the rental process easier for you the tenants you take on. After becoming a landlord and getting used to the process of managing all that stuff, you’ll be making some good money. In the beginning, the additional cash flow might cover a little more than the mortgage payments that you will likely be paying for the property, but that’s alright. That will change as time goes on. And even just a little bit of extra cash flow can improve your day. Once you get the right practices down, you’ll find that the money you’re making here is really ensuring a better future for yourself and even for your family. Maybe even after a while, you’ll find that there will be enough extra money to do this all over again. You can have more than one rental property. You’ll have to re-evaluate your goals and redefine how you’re going to reach those goals, but it shouldn’t be too much trouble; especially since you should already know the process by then.